At 20-months Eloise’s vocabulary is expanding by the minute. Some words naturally roll off the tongue like I do it, hold it, silly…sorry. Others require a more agile clapper like the tongue twisting chorus how why won-d wha chew are of “Twinkle Twinkle”. 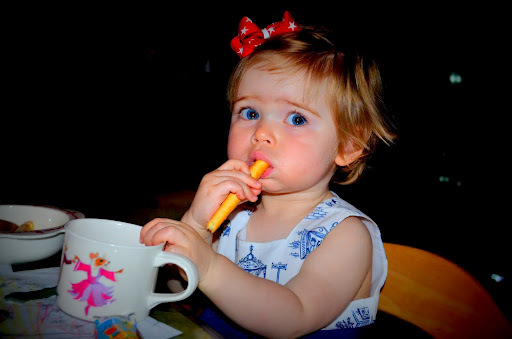 We are raising her to (hopefully) be bilingual in French and English (perhaps Texan). Already some things she refers to only in French which I find cute and amusing. The bilingual teachings were going swell until while on holiday my belle mere introduced the term— caca. As the word sounds- it means poo. Boasting one of the most beautiful languages, could the French not have thought of a more flowery term? After all, they’re the ones that made toilet water sound posh by calling it eau de toillete. Unfortunately, Eloise’s interpretation of caca includes all body parts south of the belly button and anything that passes from them. Every time nature calls or she re-discovers her couche she ensures I, too, am fully aware. I keep a tatine on the ready for popping in her mouth to muffle the announcement as and when it is aired to the wider public. In addition to the the fascination of her own bowel movements, she is captivated by our dog’s private bits and eagerly reports back on any witnessed yard sprinklings. On a recent stay in London, we treated my mom to a lovely dinner at Amaranto. The staff could not have been more accommodating to Eloise. Not only did the restaurant provide her with her own plate, cup and utensils they also offered her an iPad. Though a nice modern touch, the basket of bread sticks and cup of shaved ice topped her list. As the meal progressed late into the night, Eloise was ready to fair dodo. One observant waiter took note and came to serenade Eloise a calming Italian lullaby. With sleepy eyes she gazed up at him while lifting her beautiful dress and cooed “caca.” The waiter looked puzzled and I was in stunned and unable to verbally apologise. 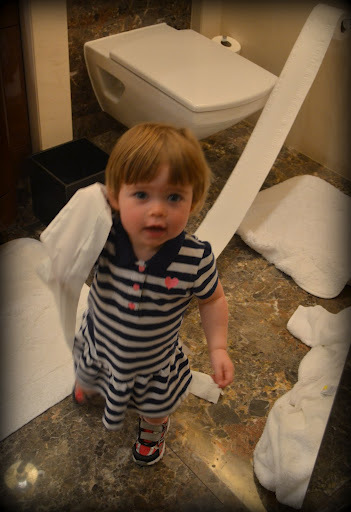 Eloise continued to inform all the diners of the play-by-play action taking place inside her couche– Caca! CACA! As her decree crescendoed, I enticed her to stop with a chocolate biscotti and more shave ice while Chef asked for l’addition, si’il vous plait. Earlier this month I bought a potty training seat for her expanding curiosity. 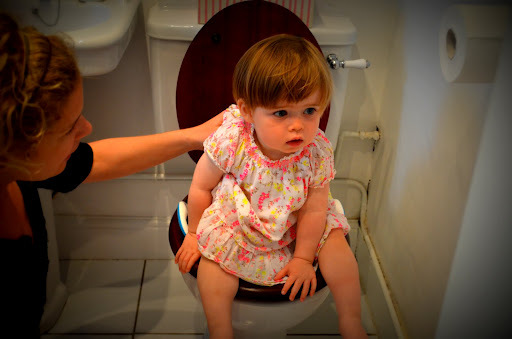 She, nor I, are quite ready to embark on potty training, but I thought as she is consumed by the topic, we could have potty talk surrounding the ‘throne’ in the bathroom, instead of at the dinner table. To date our potty talk chats have defined what is a bottom and how tee-tee is different from poo. Sadly, when nature calls, Eloise still answers with, caca Mommy! Enjoyed a hearty belly laugh over this one. Great synopsis of the events at the FS, but even better to have witnessed it! Keep 'em coming . . . you're on a roll. How funny! 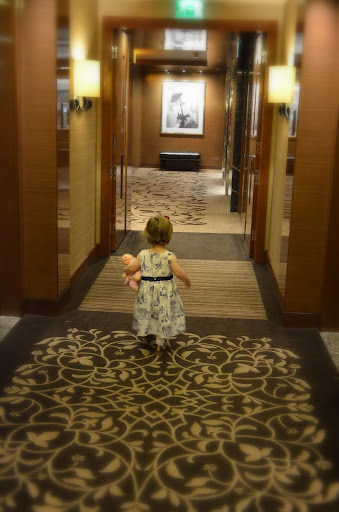 Little ones are especially interested in all things private! She'll get interested in something else, and you'll always have a good laugh about this phase. Indeed little ones find everything and anything interesting! Thanks so much for reading! So glad to have given you a good chuckle this Monday! She is quite the character… keeping us on our toes and highly entertained on any and all topics of new discoveries….